The Trump administration proposed this week to slash Clean Water Act protections, leaving industry free to dump toxic waste into streams across the United States. It would also allow the destruction of millions of acres of wetlands critical to endangered wildlife. An analysis from the Center for Biological Diversity shows Trump's proposal would cut protections from streams and wetlands across more than 3,000 watersheds in the U.S. West. It would also speed the extinction of more than 75 species, from steelhead trout to California tiger salamanders. "This sickening gift to polluters will result in more dangerous toxic pollution dumped into waterways across a vast stretch of America," said the Center's Brett Hartl. Trump's Interior chief Ryan Zinke has launched a vicious attack on greater sage grouse. In favor of fossil fuel development, he plans to undo key protections on public lands in seven states for these iconic western birds. In 2015 state and federal officials OK'd plans to reverse the birds' decline and avoid an endangered-species listing. Now comes this proposal to roll back protections in Colorado, California, Nevada, Oregon, Idaho, Utah and Wyoming. "Zinke will stop at nothing to help polluting industries mine and frack every last acre of the West," said Center lawyer Michael Saul. 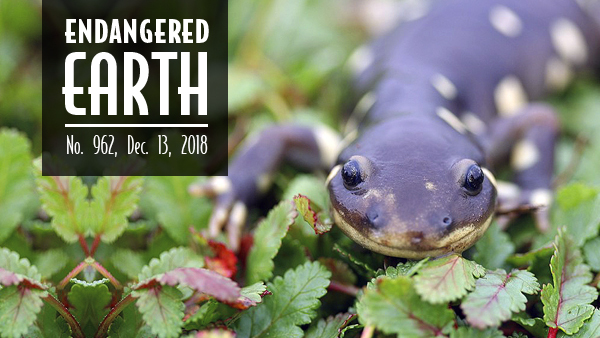 "This is a huge step backward for hundreds of species that depend on unspoiled public land." Get more from NPR and consider donating to our Trump Resistance Fund. 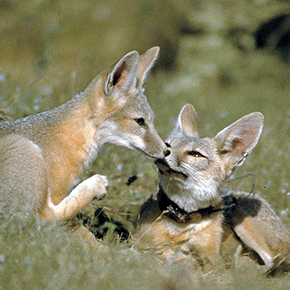 In a win for San Joaquin kit foxes, blunt-nosed leopard lizards and 34 other rare species, a judge just halted a mega-development called "Grapevine" in Kern County, Calif. The ruling follows a lawsuit by the Center and allies. "Local residents deserve to truly understand how Grapevine would damage air quality and public health," said Center lawyer J.P. Rose. "The county needs to fix these problems, not sweep them under the rug." Get more from The Real Deal. Shellfish and other marine animals are hurting — and dying — as the Pacific Ocean absorbs carbon dioxide emissions and gets more acidic. The problem is only expected to get worse. So the Center has sued the Trump administration for refusing to recognize that ocean acidification caused by fossil fuel pollution is impairing Oregon's coastal waters. If the EPA took the required steps to identify impaired waters, the waters could be helped by pollution controls and other protective measures. "The chemistry of our oceans is changing in dangerous ways. They can't keep absorbing all the carbon pollution," said the Center's Emily Jeffers. "The federal government needs to take real action before our coastal ecosystems and economies suffer more." Read about it in Mother Jones. 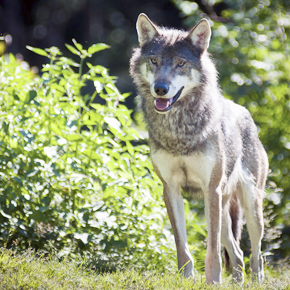 After being exterminated from Denmark 200 years ago, wolves have finally returned. This year the first female wolf known to have come back was illegally killed. But an exciting new conservation project may help the rest of her pack. Head to The Revelator to find out how Denmark is working to prevent more killings and promote human-wolf coexistence — a goal supported by the European Union's commitment to nonlethal wolf management. The Trump administration this week offered up more than 150,000 acres of public lands to fossil fuel companies — some of Utah's most breathtaking landscapes. Up for auction are lands within 10 miles of the globally famous Arches and Canyonlands national parks, plus areas near Bears Ears and Canyons of the Ancients national monuments, and Glen Canyon National Recreation Area. Utah residents gathered in protest. "This is a reckless fire sale of spectacular public lands for dirty drilling and fracking," said the Center's Ryan Beam. "These red-rock wonderlands are some of the West's most iconic landscapes, and we can't afford to lose a single acre." 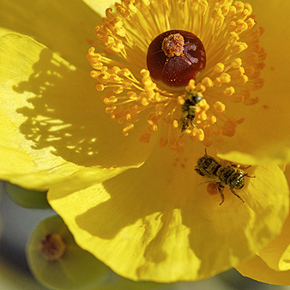 Last month the Center filed a petition seeking Endangered Species Act protection for the imperiled Mojave poppy bee. Only seven populations remain on Earth. Some might ask: How can we afford to worry about whether a single wild bee species goes extinct? In a recent op-ed for the Las Vegas Sun, Center scientist Tara Cornelisse shares her point of view ... How can we possibly afford not to? In another setback to the controversial, destructive Keystone XL tar sands oil pipeline, a federal judge has reaffirmed that its builder, TransCanada, can't conduct any pre-construction field activities. The ruling, upholding a recent district court decision, means construction will continue to be delayed while the government revises its environmental review. "This ruling ensures TransCanada can't threaten communities and habitat along the pipeline route while environmental reviews are conducted," said Jared Margolis, a Center attorney. "If the Trump administration takes an honest look at Keystone XL's impacts, it won't be able to justify this horrible climate-killing project." Get more from Common Dreams. After years of Center advocacy, the U.S. 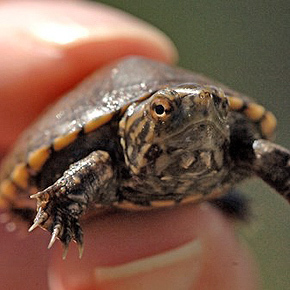 Fish and Wildlife Service just proposed to protect "critical habitat" for endangered Sonoyta mud turtles. These aquatic reptiles live only in Pima County, Ariz., and Sonora, Mexico. "Arizona mud turtles have been pushed to the brink as their habitats were degraded and destroyed by drought and water removal," said the Center's Jenny Loda. "I'm so happy to see the Fish and Wildlife Service moving forward to protect these little guys." Read more at KTAR news. The Center broke the internet this week with an annotated video of a cute yet ferocious bobcat kitten named Mr. Murderbritches. 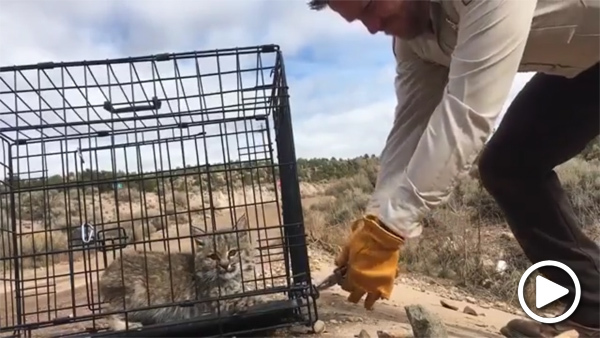 Utah officials recently filmed the release of the cat back into the wild after it was trapped raiding a chicken coop. In an edited version of the video, we named the kitten and translated its growls and snarls. Our edit went viral: Mr. Murderbritches won hearts and minds. The video also sparked a debate on how "nuisance" animals like bobcats and coyotes are handled by wildlife officials. Papers across the country covered the phenomenon. Check it out on Facebook, YouTube and Twitter and learn more about Mr. Murderbritches in the Salt Lake Tribune. Photo credits: California tiger salamander by Adam G. Clause/USFWS; sage grouse by Tatiana Gettelman/USGS; San Joaquin kit fox pups courtesy USFWS; Oregon coast by patrix99/Flickr; wolf by martin_borjesson/Flickr; Arches National Park by josephnv/Flickr; Mojave poppy bee by Zach Portman/Department of Entomology, University of Minnesota; Keystone XL sign and demonstrators by Joe Brusky/Flickr; Sonoyta mud turtle by George Andrejko/Arizona Game and Fish Department; Mr. Murderbritches courtesy Utah Division of Wildlife Resources.